HACKENSACK, N.J. (CN) – Hours after leaving the court Friday, the New York Giants and quarterback Eli Manning reached a confidential settlement in their closely watched court battle with a sports memorabilia dealer. Filed four years ago by Eric Inselberg after an FBI raid ruined his memorabilia business, the suit alleging that the Giants passed off phony helmets, including two Manning had supposedly worn in separate Super Bowl wins, had been slowly gaining steam. A settlement did not seem particularly likely earlier Monday when Inselberg’s attorney, Brian Brook of Clinton Brook & Peed, told the judge he had been given the cold shoulder by lawyers for the Giants and Manning. That cold war thawed sometime after the parties left the courtroom, however, and the parties reached a settlement Monday evening. Inselberg brought his suit on the heels of a years-long FBI sting operation into counterfeit jerseys, claiming that the Giants had thrown him under the bus to investigators. His suit accused the Giants of a “long-standing involvement in game-used memorabilia fraud,” saying they even had a dry cleaner alter jerseys to make them looked used. The fraud was so widespread, Inselberg claimed, that the even Manning’s helmet in the Pro Football Hall of Fame, which is supposed to be the one he wore during Super Bowl XLI, is fake. Another fake, Inselberg claims, is the helmet sold to Steiner Sports, supposedly worn by Manning during his second Super Bowl. Jury selection originally was scheduled for May 14, but the date was moved Monday to May 21 to accommodate a funeral one of the attorneys wanted to attend. After the hearing, Brook told reporters he has received “the silent treatment” from attorneys representing the Giants and Manning, with several emails going unanswered, even regarding simple procedural questions. Attributing the repeated delays to “standard defense stuff,” Brook would not comment on potential settlement talks and noted only that he was “disappointed” in having to wait another week to start trial. Jonathan Hoff, an attorney for Manning with the firm Cadwalader, Wickersham & Taft, declined to comment on Brook’s statement and would not say whether the parties were discussing a settlement. “I’m sorry, but we’re not saying anything,” he said. 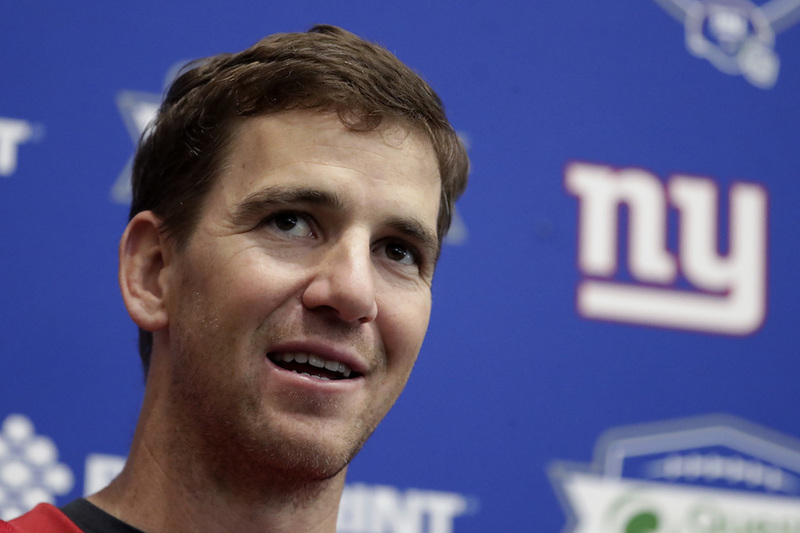 As the case has processed, potentially damning emails between Manning and Giants equipment manager Joseph Skiba have come to light that led to sniping between the parties. Manning’s attorneys claimed the emails had been marked confidential and should never have been released, and that Manning was merely honoring a contract with Steiner Sports to provide two each of game-used helmets and jerseys. Along with Manning, other star witnesses deposed in the case included Giants’ owner John Mara and defensive end Michael Strahan. Additional exhibits thought to be damaging for the defense included photos of Manning wearing helmets that do not correspond with game-used helmets later sold by collectors, and emails that indicate the Giants’ in-house counsel knew of the accusations in 2011. Giants co-owner Mara, who testified during deposition earlier this year, said he was not aware of the accusations until the 2014 suit. Attorneys for the Giants argued that no expert reports showed fraudulent helmets. They also denied that the collectors suffered damages.